World No 1 Saina Nehwal is all set to defend her women's singles title at the Australian Open super series starting from Tuesday. The star Indian shuttler will begin her campaign against a qualifier in the opening round and is likely to clash with China's Sun Yu, World No 9, in the second round, against whom the Indian has a 3-1 record. 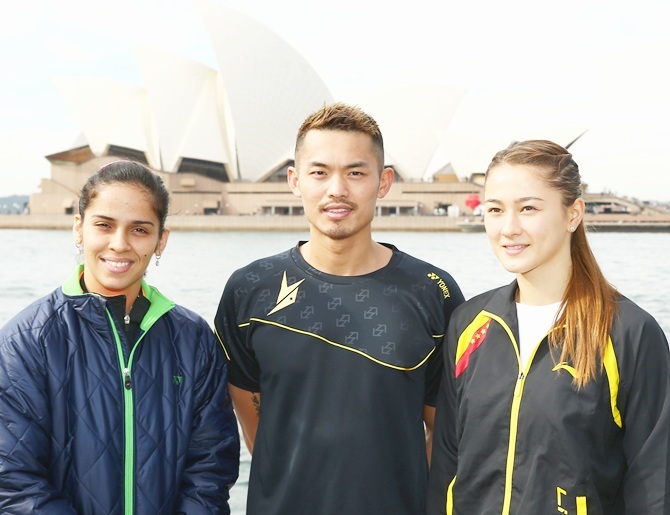 Nehwal who is the current World No 1, has been seeded in the tournament second this year. She defeated Spaniard Carolina Marin to lift the trophy last year. Indian shuttlers Pranaav Chopra and Ashwini Ponnappa will pair up to take on Australian pair of Cham Chen and Susan Wang in mixed doubles, while R M V Gurusaidutt will face Malaysia's Ai wei Jian in the men's singles qualifiers. Two-time World Championship bronze medallist, P V Sindhu, however, will have to play out of her skin right from the start as she takes on former World No 1 and current eighth seed Wang Yihan of China. Sindhu, who missed a few tournaments because of an injury this year, have lost thrice to Yihan with her only win coming in the 2013 World Championship. Qualifying matches will be held Tuesday day while the main competition will start from Wednesday. A good pair of walking shoes and Galle is yours!